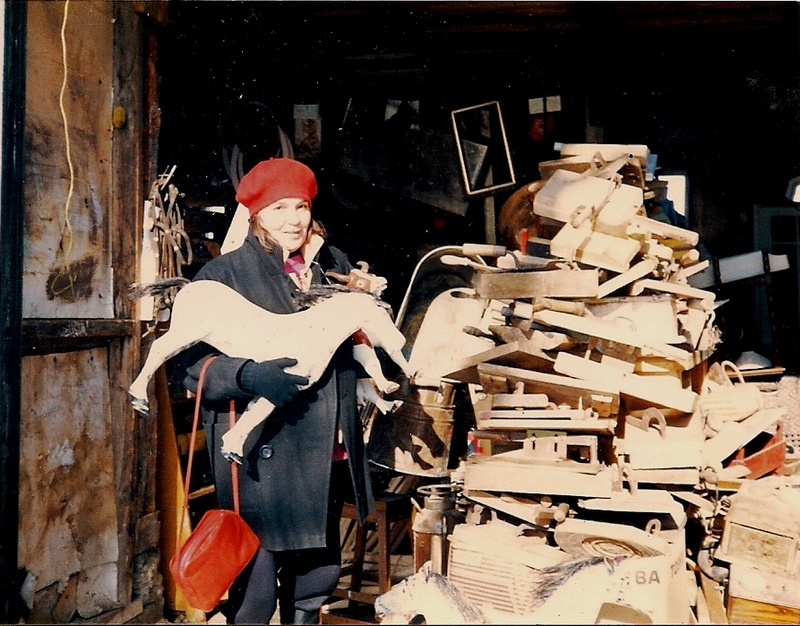 By the winter of 1982, we had been going to the Harbourfront Antique market every Sunday for about a year, and were making a pretty good income on sales of things we had bought at local auctions and garage sales. Then one day, I read in the excellent and entertaining “bible” of Antique dealing “The Furniture Doctor” by George Grotz (get yourself a copy. 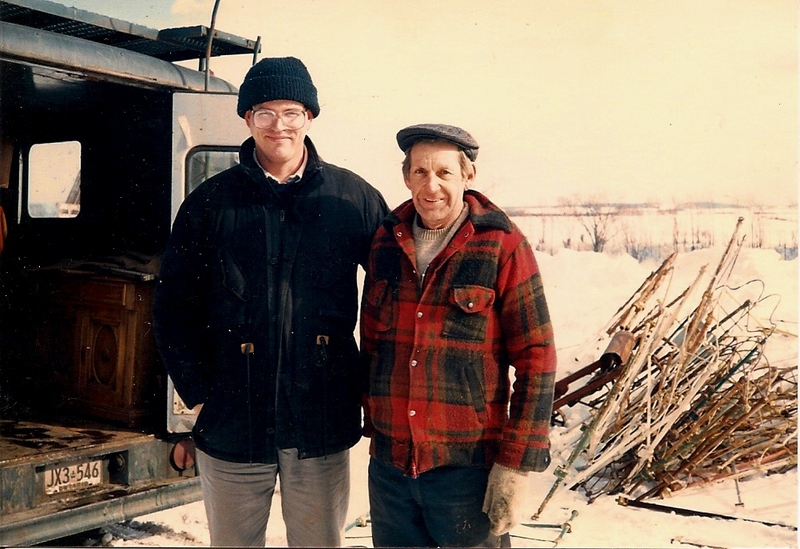 That’s how we got started) that the village of Defoy, Quebec was mecca for the antique picker. To quote “there’s a wonderful secret wholesale place up in the province of Quebec. At least the dealers who know about it try to keep it a secret. It’s the tiny town of Defoy. Only a gravel road from the main highway, but about a half a mile down there is the wonderful “antiques dump” of Rene Boudin and his freres. And here under enormous sheds you will find literally acres of antique furniture, chests, and tables piled three to five pieces high”. The book had been out quite awhile so there was no telling if this situation still existed, so I asked the old guys at the market if they knew of such a place and I got several reports of it’s glory days, followed by “of course that was years ago and nobody goes anymore. That being said they also all encouraged me to give it a go, and gave me “leads”as to who may still be active. We gathered up our courage, our baby, and what cash we had, and set off. Wow, did that first twelve hour drive felt like an eternity. We even stayed overnight near Belleville because we had left so late in the day, but it was a tired crew who pulled in late afternoon to a tiny motel in Victoriaville, Quebec. Very clean, but odd little room. I remember all the furniture had thick plastic thumb-tacked over the surfaces. 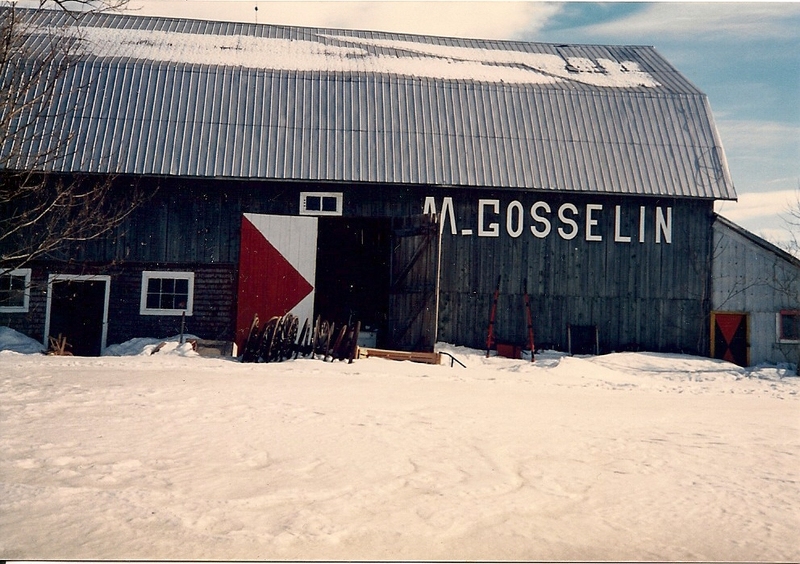 In any case, our first move was to look up the name Marcel Gosselin in the phone book because he was one of our most promising leads. To our delight he was listed, and he answered and told us where and how to come the next morning. It wasn’t hard to find because it was only a couple of clicks out of town, and he had his name painted boldly on the barn. Marcel greeted us warmly ( I noticed he was wearing two pairs of pants one on top of the other), and proceeded to lead us to his main barn. There, behind the red and white cross doors was the biggest pile of dinning chairs I had ever seen. About thirty feet across it reached to the top of the barn. (I’ve got a picture somewhere, I’ll post it if it turn’s up). Through the hatchwork of legs I could see tantalizing glimpses of a cupboard and some chests. Then he took us upstairs where in a loft he had sorted hundreds of chairs in sets of four, six, or more. Some were painted and some varnished. It was $45 each for simple painted chairs, $65 each for nicer pressbacks and/or varnished. We got a couple of sets knowing we would get about $150-$250 each for these when refinished., Next I asked him about that cupboard I had seen in the giant pile downstairs. He told me all about it including the age, condition and reasonable price of $250 and told me he would extricate it and have it ready for my next trip if I wanted it. I said I did, and then he didn’t even want a deposit. “That’s not the way we do it down here. Your word is good enough, until it isn’t” This in the half French, half English all the dealers speak down there which I like to call “Franglais”. I liked him immediately and knew he was a man I would enjoy doing business with. Next he took us to the garage attached to his 100 year old frame house. The downstairs was filled with every kind of “smalls” including small boxes, glassware, pottery, antique clothing, folk art, etc, etc; and the tiny, about to collapse, upstairs loft was filled with hundreds of pottery washsets. There were some beauties, and this was a hot item at the time in Toronto. Prices ranged from $45-$75 per set. We bought about 8 sets of the nicest knowing we would get between $145 to $375 back home. This was getting truly exciting. We noticed for the first time various folk art pieces. These were rare in Ontario. We didn’t know if anybody would wanted them, but we knew we really liked them, so we bought several, feeling we would just keep them if they proved unpopular. Jeanine finds a Aime Desmeule horse in the pile. Jeanine really impressed Marcel because as he pointed out “she can speak either entirely in French, or entirely in English” , so he invited us in to the house to meet his mother. She was a lovely old lady who immediately offered us tea. As we sat and talked anything that we offered comment on, such as the beautiful antique carving of a work horse displayed prominently on the mantle, would either become available and Marcel would give you a price, or unavailable which was sadly the case with the carving. We spent a terrific four hours or so with Marcel that first day and pulled away from his place, ecstatic with half our money spent, and half the truck full of interesting, excellent quality, and reasonably priced stuff, not to mention the overwhelming sense of warmth, excitement and wonderment of that first glimpse into a Quebec picker’s life. We were hooked, and we knew it was the first of many, many more trips to see Marcel.